Motivated and skilled Marketing Enthusiast, Game Changer, connecting with innovators and creators of what's new in the social arena. Blogger, Entrepreneur, Wife, Mother, Sister, Friend. Just like most women I wear many hats and enjoy doing so because variety is the spice of life. I absolutely love to shop, and when I find a pearl, I share it with everyone. I typically LOVE Olay products but there is something in this product that doesn't really agree with my skin, perhaps the exfoliation is too strong, I didn't pinpoint the problem, but, I've tried it more than once with the same results. These wipes are extremely effective as long as you close them to keep them from drying out. You can remove all of your makeup with one wipe, it also removes mascara but with a bit of work. And I have found myself having to use more than one wipe before to get a really clean face. I like the convenience of clean and discard and I also like that it's very gentle on skin. They remove makeup very easily and it doesn't leave any residue. Love this product because of it's convenience and effectiveness. It's one and done, Just use and discard which makes these convenient for traveling. In terms of effectiveness this product helps to keep my skin tone even and it's gentle enough not to dry your skin. I am usually brand loyal to PF, but, what a pleasant surprise. 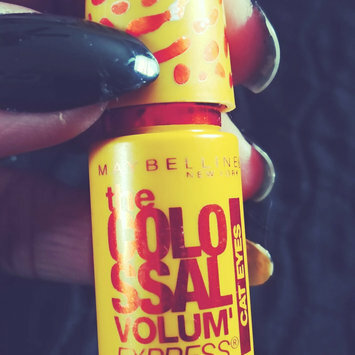 This mascara added length and volume I did not expect, and because of the tiny brush it is able to grab all of your lashes. I'm not giving up my Physician's Formula, but, this just might be my 2nd favorite mascara. And for the price I definitely recommend that you try it. This one along with the Pumpkin Spice goes over really well at Holiday/family gatherings, especially when it's cold outside. The coffee lovers, love this drink, so if you're looking for a drink to add to your selection at your gathering for coffee lovers this is a great choice. The flavors are great, especially the Blueberry Acai, it's like drinking juice without all of the sugar and additives. One of the things that I usually don't like about enhanced waters is when they have the chemical laden sugars. This drink uses Stevia which has a great taste and it's natural. There are however preservatives in the drink, but, they're very necessary. So, all in all this product gets thumbs up from me. 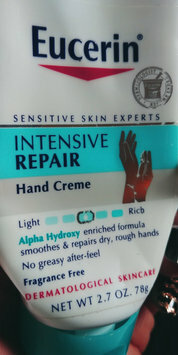 So, I started using this product at the recommendation of my dermatologist, after I complained about dry skin, and questioned what would be the best thing to use for my hands since I'm a clean freak and wash a dish every time I see one in my sink and the water can be harsh if you're always having your hands in it. This product is everything. I definitely recommend it. Okay!! So this is at the top of my list for favorites, because I tend to get dry skin in some areas during the winter months, and this one is dermatologist recommended and delivers as promised. I use it primarily on my feet, but, I also carry the hand lotion in my purse. I would highly recommend it to anyone that suffers from dryness.